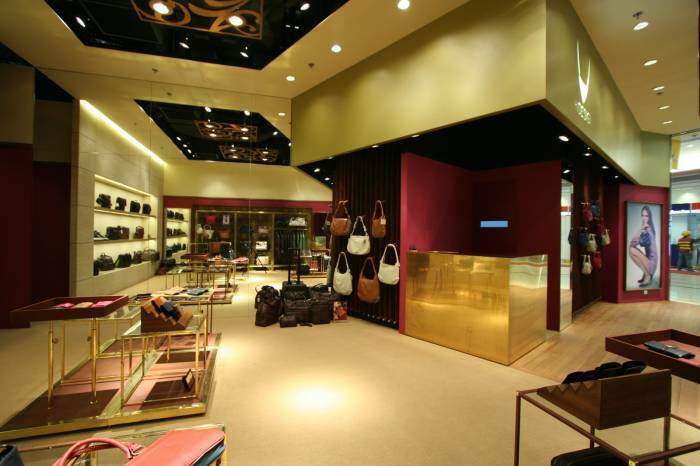 As a long-established Indian brand, "Hi-design" has always been known for its craftsmanship and high-quality leather products. 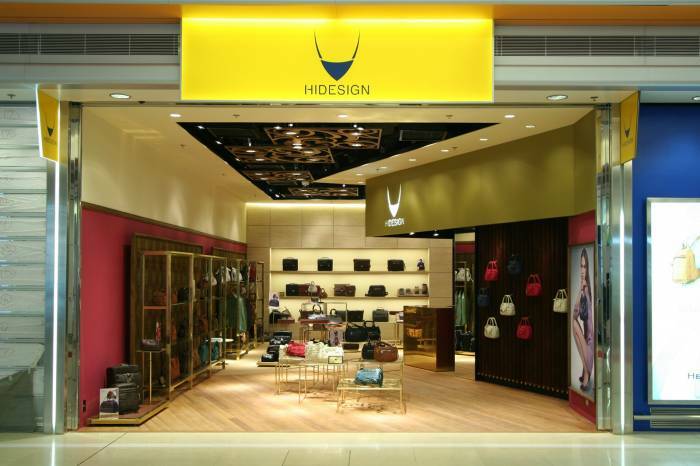 In recent years, "Hi-design" has actively expanded its overseas business and repositioned its brand image in order to keep abreast of the times. The store at the Hong Kong International Airport Gallery is designed with natural materials to create a high-end and contemporary shopping space. 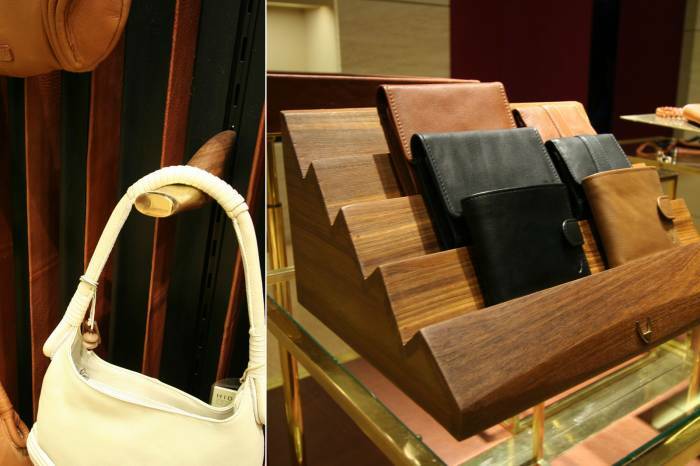 A combination of leather and brass is used for each display unit. 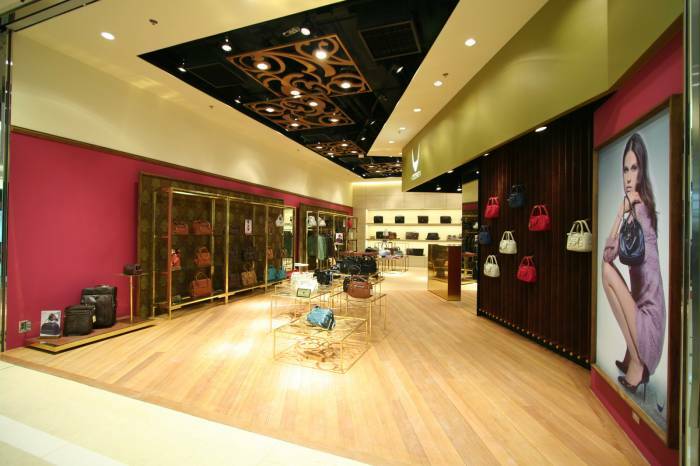 The wall of the hanging bag on the right side of the entrance is covered with leather strips and a special custom-made brass hook, which gives customers a strong impression. 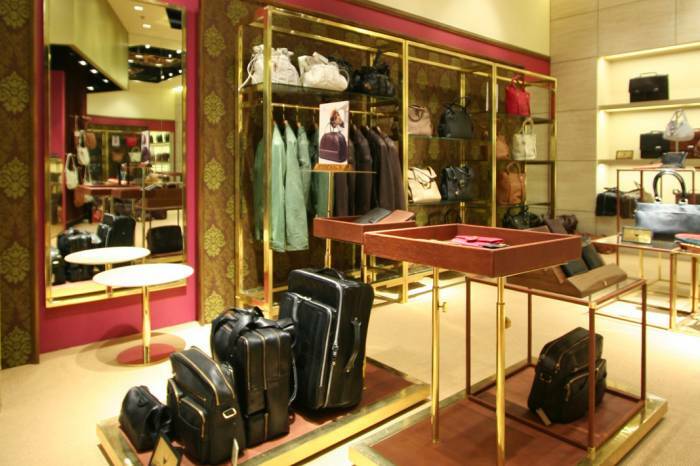 The brass carved display stand and ceiling hangings were hand-made from India, which reflects the brand's intention to focus on craftsmanship and elegancy. Sandstone, cinnabar red wall, Persian wallpaper, natural wood flooring and light brown straw woven carpet, beautifully exuding the brand’s rich Indian background.